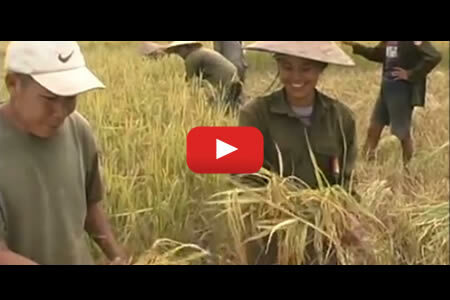 Good practices on growing rice and other essential information on modern rice production. Know how to use existing cultural practices efficiently in attaining sustainable high-yield upland rice farming. Learn how to integrate organic and chemical fertilizer use, emphasizing the growing of green manure crops. Lowland rice accounts for 50% of the total rice produced in Nigeria. Inrecent natural resource/crop management and pest and disease management technologies to rice farmers in Nigeria and other West and Central African countries. Upland rice production accounts for 20% of the total rice produced in Nigeria. With the development of New Rice for Africa (NERICA) for upland production systems, a number of farmers have shown interest in growing upland rice. Unfortunately, these farmers do not have a ready source of information on upland rice production. This handbook provides information on guidelines for dry seeded rice in the Terai and Mid Hills of Nepal. The whys and hows of growing cowpea on ricelands for higher productivity. A farmer's must-know on growing soybean in the tropics.